I love bar food. Like, seriously love bar food. Buffalo wings, fries, potato skins, nachos, all of it. While I don’t indulge in it much, I am always trying to find new ways to get those fixes at home. 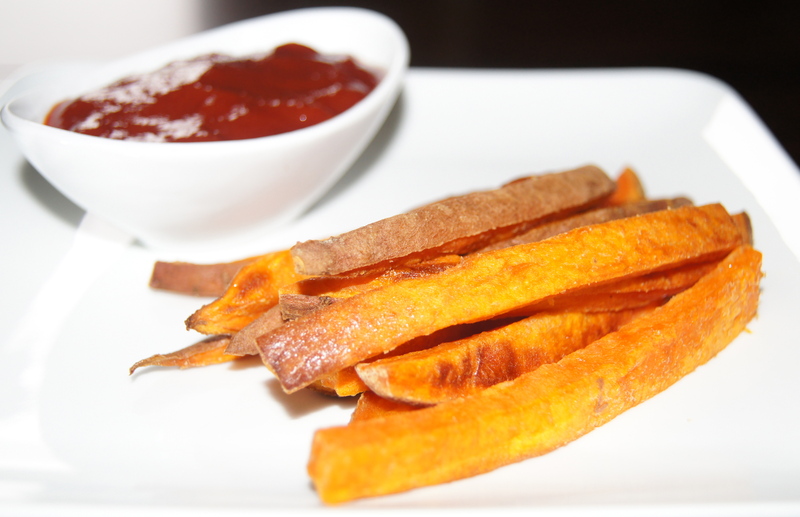 Sweet potato fries have become quite popular over the last couple of years and they are one of my favorites. Quite honestly, put me in a restaurant that owns a deep fryer and give me a choice between a regular fry and a sweet potato fry and I’m team sweet potato all day long. There is something about the crispy outside and the sweet soft inside…and when they top them with salt right out of the fryer? Don’t even get me started. Well, this is my home version. I will say in all honesty they are not as crispy and indulgent as the deep fried version but folks, they’re wonderful. And they will give you the exact same satisfaction with much less guilt. They make a wonderful, easy side dish for so many meals and they are great solo or dipped in just about anything. If you’d like to treat you tastebuds to one of my very favorite combos pair these bad boys with the spicy mayo dip from this recipe. Knock-your-socks-off-delic. A quick nourishment note about sweet potatoes: It is nearly impossible to find a more nutrient rich food; full of antioxidants, fiber, folate, potassium, protein, Vitamin C, iron, calcium, the list could go on and on. One of natures best medicines. 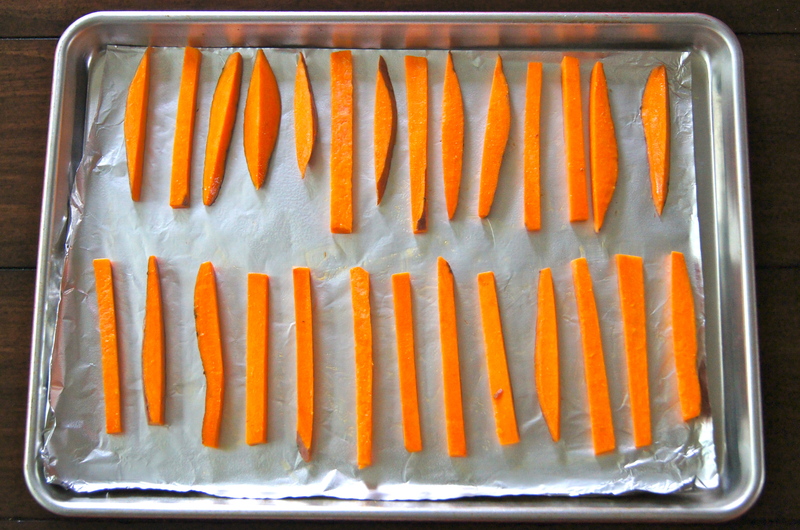 Place baking sheets in the oven and cook for 15 minutes or until bottoms begin to brown. Remove from oven, flip the fries over one by one and place back in the oven for an additional 10 minutes or until desired crispness. Remove from oven, sprinkle with salt and toss to coat. Serves four. Well since Hads is eating your marinera recipe tonight, you can gaurentee she’s eating this tomorrow as sweet potates are her fav! Thanks aunt Missi! !